It's the time of year again...spring cleaning! One of the things I really like to do each spring is go through my closets and figure out what stays and what should go. Like most girls...I hate cleaning out my closet. I love my clothes, haha! I don't want to see them go! But the reality is... there are some clothes in your closet taking up wasted space (that you could be filling with clothes you'll actually wear!!). 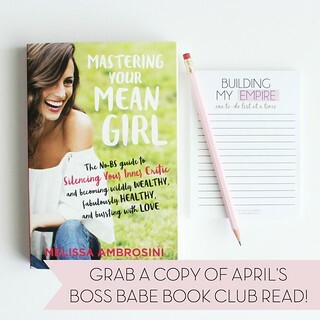 I've decided to share some tips for cleaning out your closet that always help me when I take on this daunting task! Above is the after.... below is the scary before! So...many...clothes! Yeah, I'm a bit of a hoarder when it comes to clothes. Luckily I have two closets, or I don't know what I would do! 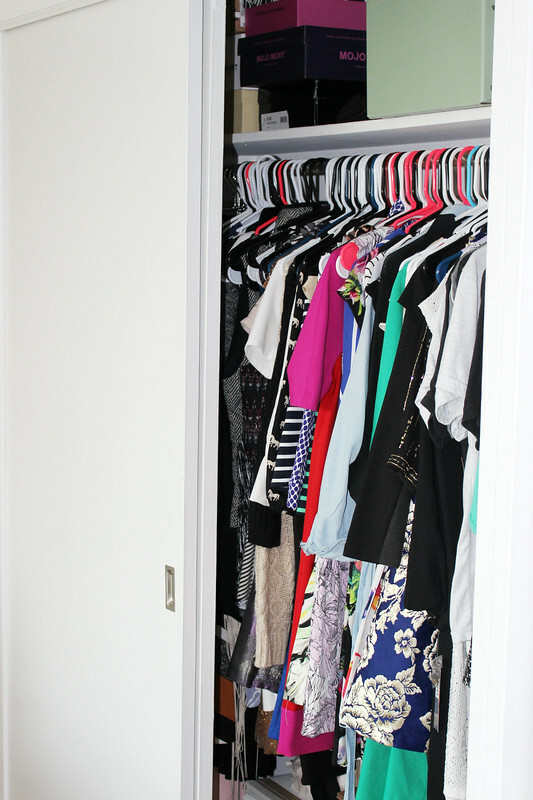 Using these tips, I ended up clearing out enough space that I had half of one of my closets available! 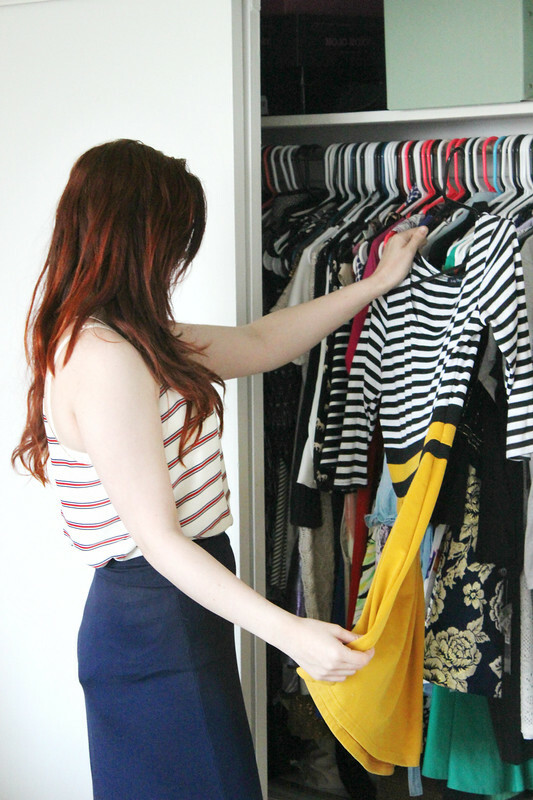 Clearing out your closet can help with the whole "I have nothing to wear" experience that ladies go through so often (myself included), but cutting down on the amount of clothes you frankly don't WANT to wear, and freeing up space so that you can more easily see the ones that you do. So how do you decide what says and what goes? 1. When was the last time I wore this? This is a biggie. You may love those pants or that top...but when was the last time you wore it? It doesn't matter how much you think you love it...if you aren't wearing it, it has no place being in your closet. If the answer to this question is "I can't remember" or "Over 6 months ago", it's time to add it to the pile. 2. How many other outfits can I pair it with? Really ask yourself this. You love those pants, right? But it feels like you never wear them...name at least 3 tops you would pair with it. If you can't, it needs to go. 3. Is it damaged? Pretty self explanatory. The follow up would be, if it is damaged, is it worth getting fixed? No. Then it's time to go. However.... DO NOT THROW CLOTHES AWAY. Please don't. Even if they are damaged... You can take your damaged clothes to H&M, and they will recycle them into new garments! Super cool, right? No need to waste material and increase environmental waste because often up to 95% of the garment can be reused. 4. Will it be more loved elsewhere? This is kind of a tricky one, but the best example I can give is with myself and dress clothes. I used to work in a research lab, and had to go to a lot of graduate school interviews. This meant I had a lot of dress clothes/professional wear. Even though I loved so many of those dress pants, I just don't need them anymore. Now that I work from home and also work in the world of fashion, what is considered "professional" and "business" is not the same as it was for labs/interviews. I love those clothes, but they will be more loved by someone who actually needs them. I recommend Goodwill for dress clothes as they are used to help homeless people dress for job interviews. 5. Does it fit? This is where most of my clothes went... I had a lot of skirts in particular that I absolutely LOVED, but they just didn't fit me anymore after losing 15 lbs, and most of them weren't worth trying to get altered. These clothes are great for clothing swaps because they are usually in great condition, but just need someone who is a different size to feel loved. 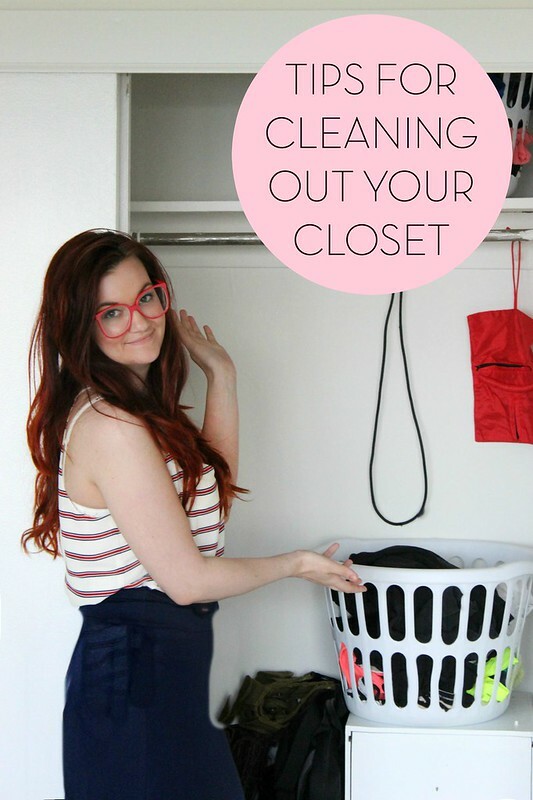 Is your closet clean now?? So...what do you do with all of those clothes you've decided to get rid of? 1. Donate them: Give them away. Places like Goodwill and other charities are more than happy to take your clothes of your hands. Some will even come get them for you. Either way, it's a tax write off and helps others in need. I prefer to donate my "work clothes" such as dress pants and blazers because I know companies like Goodwill use them to help homeless individuals dress professionally for job interviews. 2. Have a clothing swap: Clothing swaps are so fun! They are a great away to get rid of new clothes while also getting new ones...for FREE! Invite the girls over for drinks and for a night of shopping! Each girl brings items from their own closet to trade with others. This can turn into a really fun event! I've done a couple, and I always end up with items that I love....plus a fabulous night with the ladies! 4. 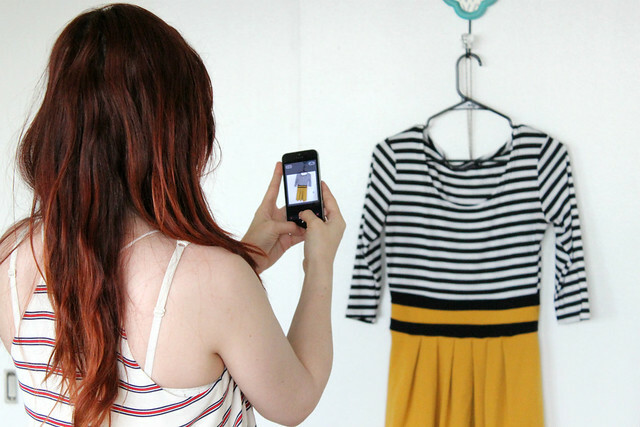 Sell them online: Apps like Poshmark and Tradsey have made selling clothes really easy! 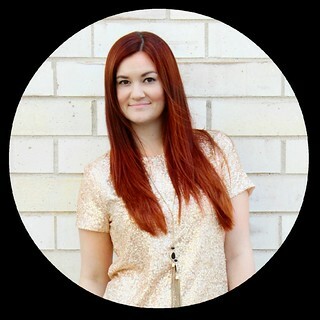 I personally love using Poshmark, and I've made over $300 selling my clothes there. I always recommend this route if you have clothes that still have the tags on them/clothing that is in really great shape. 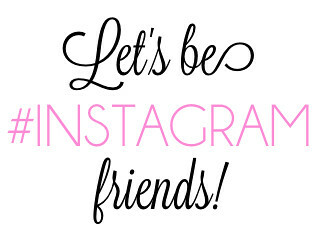 You can also get a $5 credit to Poshmark when you download the app and sign up using coupon code: BUQDW. I've personally never used Tradsey, but I know it's a similar concept. make a little money in the process. 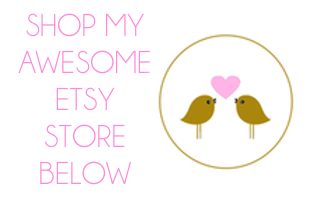 Check out my Etsy Store, The Trendy Sparrow, for wedding paper goods and chic art prints & mugs.